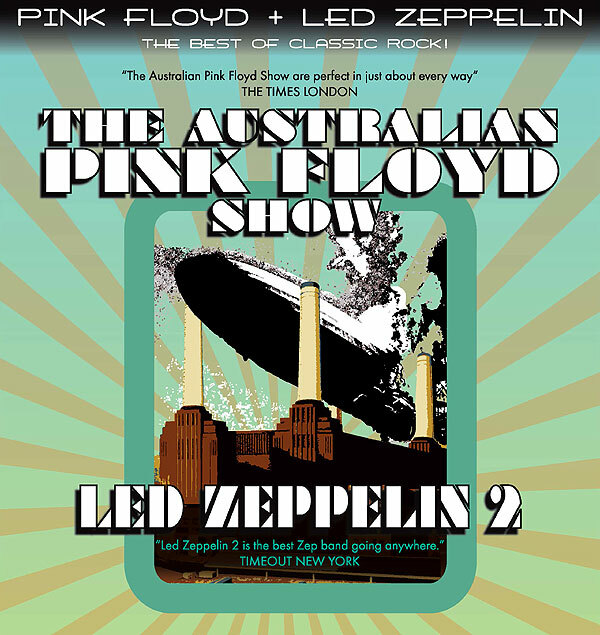 Acclaimed tribute band, The Australian Pink Floyd Show, today announced a North American tour with a stop at Jones Beach Aug 6. the 30+ date tour will take the world famous band to Los Angeles, Chicago, Toronto, Boston, Atlanta, Montreal, New Orleans and more. Led Zeppelin2 will join the tour as special guests. Selling 4 million tickets worldwide and described by The Times as “the Gold Standard” and The Daily Mirror as “The Kings of The Genre,” The Australian Pink Floyd Show gave its first concert in Adelaide, Australia in 1988. Since then, they have performed in over 35 countries worldwide; played at David Gilmore’s 50th birthday celebration and were even joined on stage by Rick Wright. Performing the music of Pink Floyd with note for note perfection, this critically-acclaimed tribute show has been astonishing audiences worldwide and their plans for North America are no different as their live shows will be packed with the greatest Pink Floyd hits ever. Striving to reproduce the Pink Floyd experience and bring new music to new audiences, the live show continues to include a stunning light and laser show, video animations, film projected onto a large circular screen and other special effects. With 27 years of history, the world’s biggest, best and greatest tribute band continues to delight audiences.